On the outside, the frantic, fast-paced offseason that has descended upon East Rutherford has cleansed the pallet of most Giants’ fans. After two years of bargain buying, New York finally had the cap to spend, and spend they did. Yet spending money this offseason wasn’t an option, rather a necessity. New York saw 21 unrestricted free agent contracts expire at the end of the season and two other players retire. Holes needed to be filled with the majority of these players not returning. 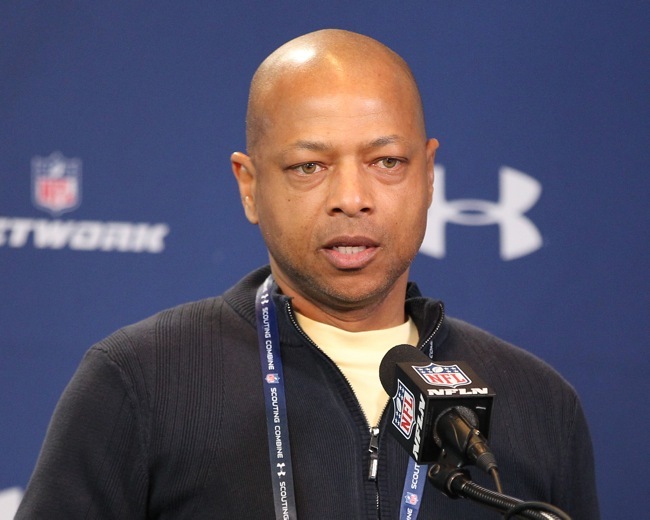 With only seven draft picks, general manager Jerry Reese had his hand forced when it came to free agency. But why? Where were the draftees that were meant to replace the wily veterans that had seen their skills diminish over the years? Where’s the replacement for Justin Tuck? David Baas? David Diehl? New York’s spending-spree in the offseason is as a much a sign of draft dysfunction, as it is free agency-frenzy. Since taking over as General Manager of the Giants in 2007, Jerry Reese has built two Super Bowl champions. Sure, he inherited some pieces from predecessor Ernie Accorsi (Eli Manning, Michael Strahan, Justin Tuck, Plaxico Burress), but smart first-round picks and key free-agent acquisitions helped construct a team that defeated the all-mighty New England Patriots not once, but twice, on the biggest of stages. Nevertheless, what happened in the middle of each championship is what’s alarming. Since finishing 12-4 in 2008, a season that ended in the first round of the playoffs, New York has never been better than 10-6. There was an 8-8 season, two 9-7’s and last year’s disappointing 7-9 campaign. The Giants have not made the playoff four of the last five seasons. Whenever an injury hit, there were few capable players ready to step up. When the Giants lost Kenny Phillips, he was replaced by C.C. Brown. When Plaxico Burress shot himself, there was no other reliable deep threat. There has been a revolving door at middle linebacker ever since Antonio Pierce was let go. As the line of David Diehl, Rich Seubert, Shaun O’Hara, Chris Snee, and Kareem McKenzie aged and faded, their replacements were often found lacking and depth was a major issue. Reese has hit singles, doubles, triples and home runs in the first round of drafts. During their present or past time in blue, Aaron Ross, Kenny Phillips, Hakeem Nicks, Jason Pierre-Paul and Prince Amukamara have all experienced success and played critical roles on the team. The jury is still out on David Wilson and Justin Pugh. But what of rounds two through seven? What of the draft picks that are meant to build depth? Contribute on special teams? Be groomed to start? How have they fared? Since 2007, the Giants have made 46 selections after the first round. Excluding the last two draft classes, for belief they are still developing, that number decreases to 34. Of those 34 players, six are still on the Giants present roster. More damning is that of the 12 players drafted in the second and third rounds from 2007-2011, only three remain with the team. There is one certainty in all of professional sports. His name is Father Time. As players fade or retire, it is those mid-to-late picks who are expected to fill in, plug the holes and make the loss of departed players more manageable. There is no guarantee that you’ll nab a Pro-Bowler, but a contributor is expected. Who are those six non-first rounders drafted between 2007-2011? Designated long-snapper Zak DeOssie, wide receiver Mario Manningham, offensive tackle William Beatty, wide receiver Jerrel Jernigan, offensive lineman James Brewer and linebacker Jacquian Williams. The 28 other players drafted in rounds 2-7 during that time period are no longer New York Giants. When injuries struck the established starters, where were those 28 players to help lessen the blow? Where was Chris Snee’s understudy? David Baas’? Will Beatty’s? Justin Tuck’s? The Giants’ special teams have been one of the leagues worst over the last few seasons, coming to a glaring low this past year. The Giants allowed three touchdowns and 13.6 yards per punt return while only averaging 7.2 yards per return themselves. You don’t draft players in the first round to play special teams. Those players are selected later in the draft. The ineptitude in this area has led to such struggles; Tom Quinn can only take so much of the blame. So as the Giants watched 21 contracts expire and two other players retire, creating 23 holes that needed to be filled…why was there no one waiting in the wings? No one waiting for a chance? Some arguments can be made: Rueben Randle is there for Hakeem Nicks, Johnathan Hankins for Linval Joseph. Maybe Damontre Moore becomes a factor at defensive end. But there’s not much in-house help on the horizon. Steve DeOssie is the only player that remains from the 2007 class, Mario Manningham from the 2008 class, Will Beatty from the 2009 class, and Jason Pierre-Paul from the 2010 class. Four drafts – four players left. And James Brewer is holding on for dear life from the “successful” 2011 class that has four players remaining. Injuries have ruined some once-promising careers. Ahmad Bradshaw, Kevin Boss, Steve Smith, Terrell Thomas, and Kenny Phillips immediately come to mind. But mostly there has been simply poor drafting. Reese is one of the best GM’s in the game, there is no denying that. When you hold up a hand with two gleaming Super Bowl rings on it, you earn that label. Reese knows exactly when to let go of a player (Jeremy Shockey, Steve Smith, Kenny Phillips) and is incredible and making sure not to over pay in free agency, although Baas can be considered an exception. No one is perfect, everyone makes mistakes, but having only eight players remain from 39 selections from 2007-11 (20.5 percent) is one of the reasons the team had 23 holes to fill this offseason. As the Giants prepare for the offseason conditioning program, there may be even more questions than new faces.